There are many exciting things happening in our vibrant and growing congregation! We’ve included all the latest news and our most recent publications here. Visit our News page often to stay updated. 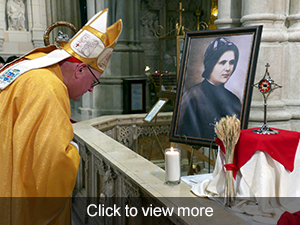 The Apostles of the Sacred Heart of Jesus joyfully celebrated the beatification of our foundress, Blessed Clelia Merloni, with commemorative liturgies in six dioceses where our U.S. Sisters minister. Thousands attended these special liturgies held from February through April—from religious leaders to lay faithful. Masses celebrated at St. Patrick’s Cathedral in New York, NY; Blessed Sacrament Cathedral in Greensburg, PA; Cathedral of the Sacred Heart in Pensacola, FL; Cathedral Basilica of St. Louis, MO; Cathedral of St. Joseph in Hartford, CT; and Cathedral of the Most Holy Trinity in Waterford, Ireland. The Apostles would like to thank our principal celebrants: Timothy Cardinal Dolan (Archdiocese of New York), Bishop Ed Malesic (Diocese of Greensburg), Bishop William Wack (Diocese of Pensacola–Tallahassee), Archbishop Robert Carlson (Archdiocese of St. Louis), Archbishop Leonard P. Blair (Archdiocese of Hartford), and Bishop Alphonsus Cullinan (Diocese of Waterford & Lismore); as well as all the concelebrants, clergy, men and women religious, and lay faithful who joined us for these joyous occasions. Interested in serving with the Apostles of the Sacred Heart of Jesus? 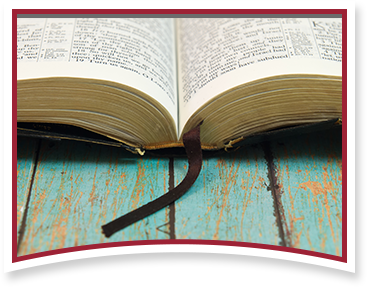 Visit our Acts of the Apostles page to learn more.